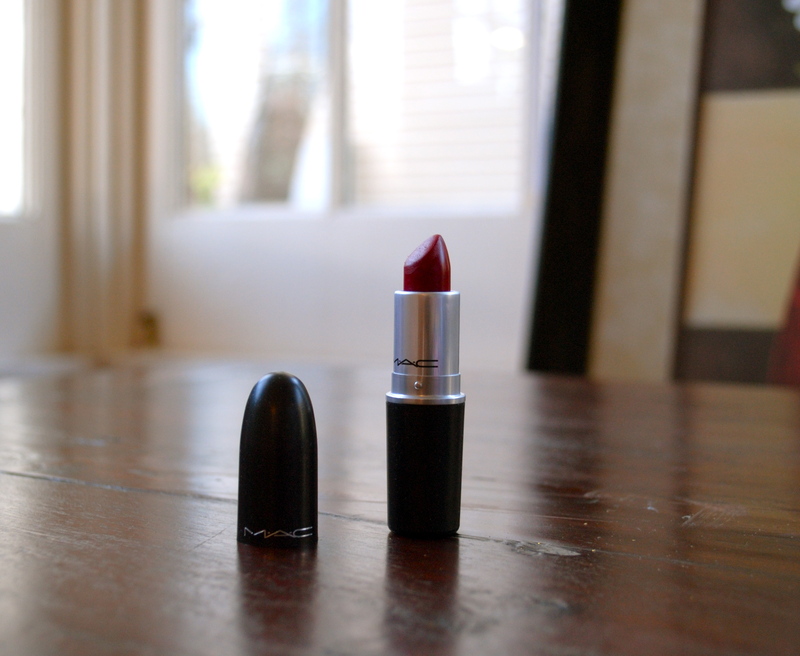 I finally bought my first MAC lipsticks. I knew exactly what shades I wanted to try on, and headed in a few weeks ago despite my fears of an unhelpful artist (I read so many horror stories on Reddit before heading to my local Domain Austin shop.) I tried on Cyber, Rebel, Russian Red, Ruby Woo, Candy Yum Yum, and St. Germaine. I ended up loving Cyber (left), Russian Red (middle), and Candy Yum Yum (right). Scott actually thought that I had made up the name Candy Yum Yum, since it sounds like something I would say anyway. Candy Yum Yum is my favorite of the bunch, since it’s an obnoxious neon hot pink. 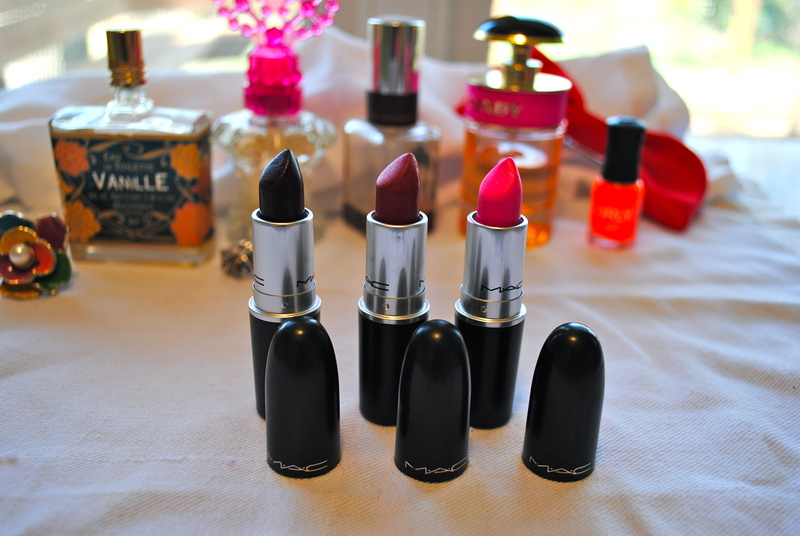 All three of the lipsticks apply amazingly and last all night. It is such a serious upgrade from Revlon and my beloved NYX lipsticks that it’s hard to go back. With my old Wet N Wild or drugstore lipsticks, I would certainly never walk out of a restaurant post-meal with lipstick still in place. I wore Cyber to my favorite burger place and that dark, vampy color stayed put the whole time! Russian Red, pictured below, is just amazing too. 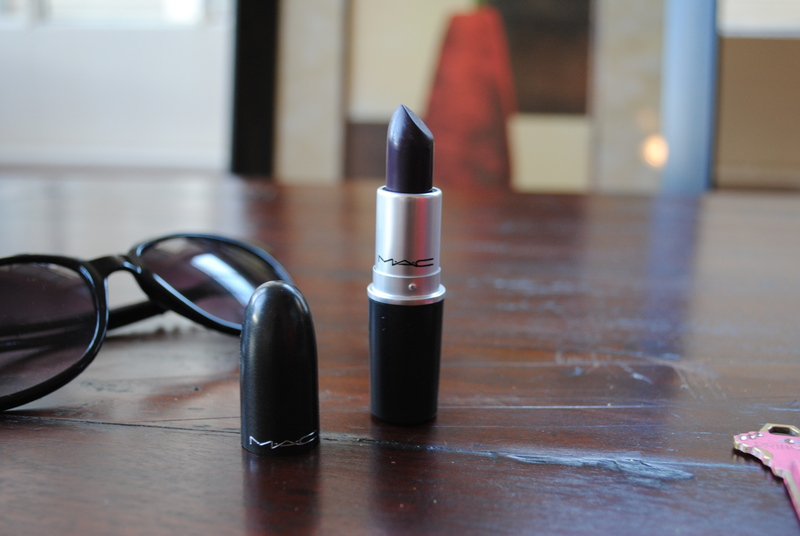 It’s a gorgeous application and glam color, although it’s even wearable in the daytime. It reminds me of Gwen Stefani. What are your favorite lipstick brands? 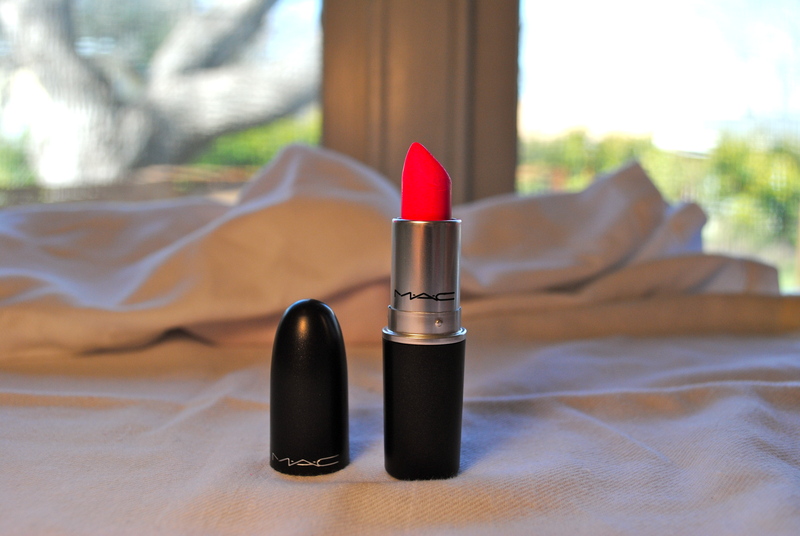 What are your favorite MAC lipsticks? Congrats on your first MAC lipstick! Enjoy! I’m afraid of lipstick but it makes such a statement! Maybe I will try MAC out too! That’s funny because it was almost the same thing for me… I’m a real lipstick junkie and I just had 1 MAC lipstick for a very long time. Then, recently, I have tried some and I really fall in love! They’re georgeous and they have so many finishes; you have to try the cremesheen ones, they’re my favorites! So to answer to your question, my favorites MAC lipsticks are: Ruby Woo, Russian Red and Rebel but also Peach Blossom, Viva Glam 5, Plumfull and Crosswires.